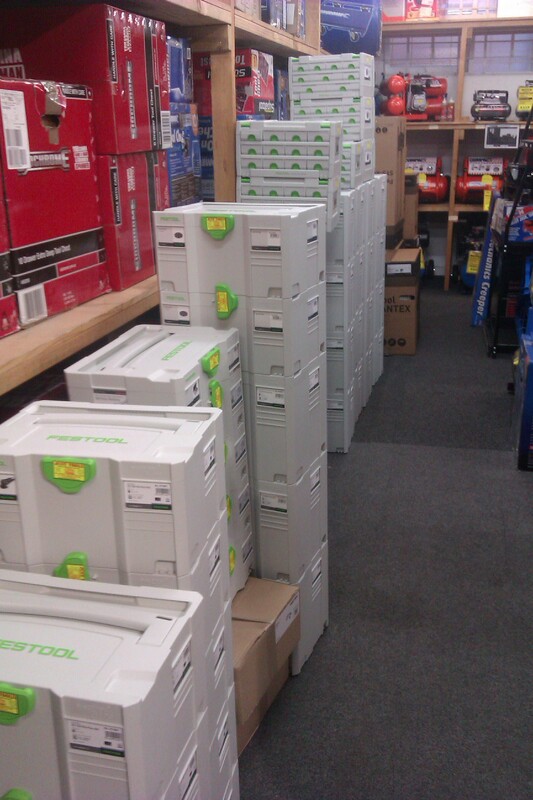 Well, after a full on day we’re ready for the Festool sale days on tomorrow and saturday. What I know so far is that the TS55 will be $898 with 2 guide rails and a bay, CT26 $955 with a free box of bags, 20% discount on all accessories and a further 5 % off our already discounted prices except for those products listed as Nett Lines. A small selection of the stock we have to sell. Anyway Guys, it should be a good couple of days so I hope to see you there. Site Update, it’s now easier to find stuff!!! !